Cannes 2018 is holding it’s annual event in less than a month in Cannes, France, marking a year since one of the most prominent film festivals in the world chose to include a virtual reality project in its selection (Zeitchik). It is no secret that VR has come to the table as a major player in technology since 2012, with the invention of lightweight headgear made by companies including Oculus, Vive, and even Google. We are ushering in an era of virtual reality, and the possibilities for the medium are endless, especially in the world of cinema. The current talk in the industry, regarding VR, is that it will not replace or diminish film but rather add a new dimension the field overall (Watercutter). 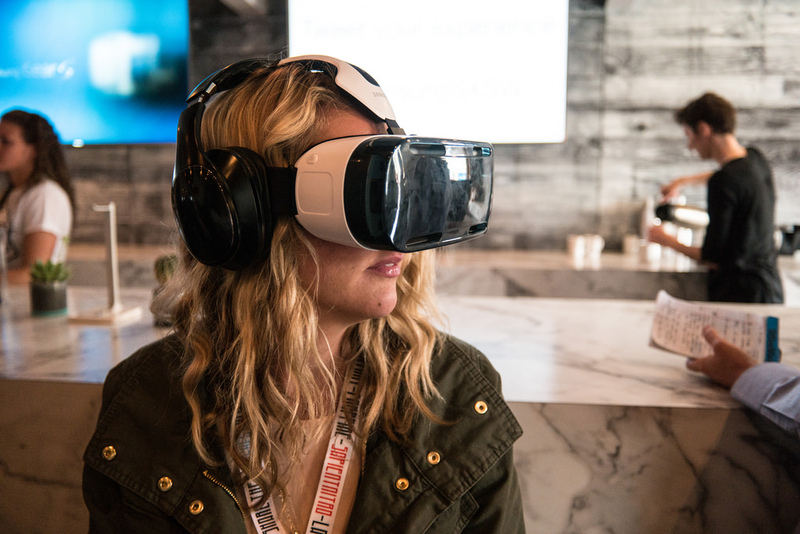 Virtual reality’s presence is most evident in film festivals, such as Cannes and Sundance, as the medium is a bit too new and obscure for mainstream Hollywood (George). However VR has made some exponential advances and many pieces have made quite a statement at some of these festivals. At this past Sundance festival, 18 different VR films were featured and one in particular, “Spheres”, was purchased by a buyer for 1.5 million dollars. The writer and director of “Spheres”, Eliza McNitt, created this scientific film with the intent of allowing viewers to immerse themselves in space. She argues that virtual reality lets her audience experience her movie and the cosmic space in a way that traditional cinema simply can’t (George). Another virtual reality film featured at Sundance, “Notes on Blindness: Into the Darkness”, puts viewers in the perspective of blind British author, John Hull, by depicting a dark world highlighted with silhouettes and sounds (Burr). It goes without saying that a movie like this can’t be experienced on a simple screen or TV; the film’s effectiveness is dependent on the immersive features of virtual reality. A variety of other mind-boggling VR works were featured at Sundance and other festivals over the past couple years, leaving critics confident that virtual reality will create a unique and provoking place for itself in the film industry. Additionally, VR has had an interesting role as a subject matter in entertainment. Steven Spielberg’s most recent movie, “Ready Player One”, portrays a prediction of the world in 2045, where the Earth has collapsed and people have to resort to a virtual space to find education, work, and true human connection (Krupa). In a similar fashion, the conventionally dark TV series, “Black Mirror”, ironically has a hopeful perspective for VR as shown in the episode San Junipero. The episode’s storyline consists of a dying couple who goes to the happy town of San Junipero, by means of VR, and decides to stay in simulation mode around loved ones well into their afterlife (Krupa). “Ready Player One” and “Black Mirror” have optimistic takes on the future of virtual reality. Unlike older films, such as “The Matrix”, where virtual reality is depicted as a nightmarish, isolated technology, recent films and shows are emphasizing just how much VR can heighten human interaction and meaningful social connection (Krupa). Virtual reality is experiencing rapid growth as both a medium and topic for movies and TV, and it’s quite challenging to predict what new elements VR will integrate into the field. We can hopefully look towards this year’s Cannes for a peek into our virtual reality-filled cinematic future. Today is International Women’s Day, so it only seems fair to pause and recognize how vital women have been to the emergence and progression of virtual reality. The sheer number of females, globally, who have made a tangible impact on the field, is astounding. At the 2017 “Women in Tech” panel in Finland, it was even argued by attendees that women have greater involvement in virtual reality over other STEM fields due to the fact that it is a more versatile space, and less male-dominated, as it is so new (Kirschbaum). Regardless of the reason, there are some incredible women who deserve to be honored for their profound influence on VR. 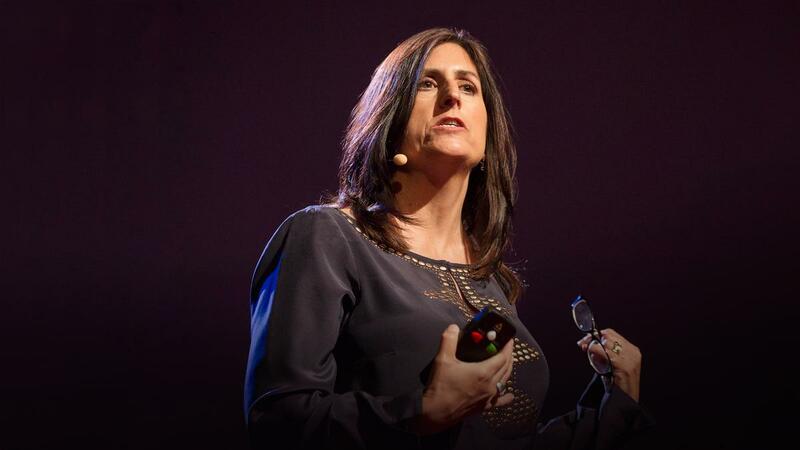 One such woman is Nonny de la Peña, better known as “the Godmother of Virtual Reality”. De la Peña practically pioneered the intersection of VR and immersive journalism, founding the immersive virtual, augmented, and mixed reality company, the Emblematic Group. Some of her work includes, the film “Hunger in L.A”, which was premiered at Sundance, and shows a homeless man collapsing while waiting in line at an LA food bank (Knoepp). By using VR as a tool to truly get people to empathize with societal issues, she has been able to change the meaning of the field as a whole (Helmore). Additionally, de la Peña has seen VR shift right before her eyes from her extensive experience with ancient-looking VR headsets back in the day to her company’s present day use of photogrammetry (not to mention, Oculus Rift founder, Palmer Lucky, once interned for her) (Knoepp). Similar to Nonny de la Peña is Jayisha Patel, a filmmaker who made a short based on the life of an Indian human-trafficking survivor, entitled “Notes to My Father”. 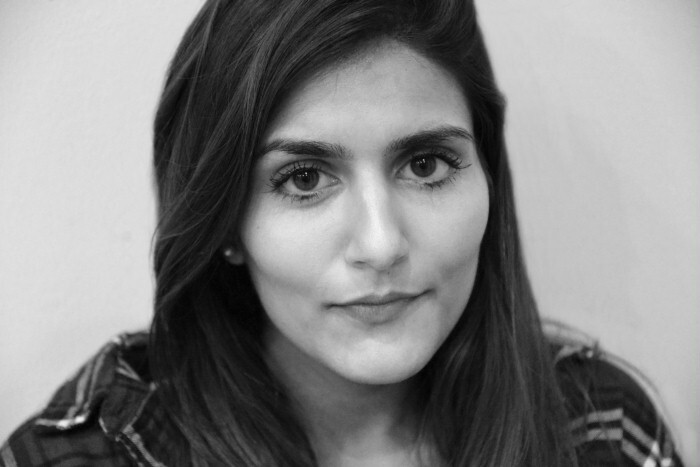 Through her work, Patel has not only been able to give users a visceral perspective of the objectification and vulnerability of trafficking victims, but her film also integrates the female voice into VR content, a rare feat in a field where a good amount of the content is targeted towards male-users (Faramarzi). Gio Minaya is yet another female trailblazer in virtual reality, serving as VF supervisor at a leading digital studio in the US called ReelFX. Minaya, who has 20 years of experience in animation production, has said that one of her goals with the development of VR content is to make it a less isolated activity, and bring more people together via virtual reality (Coleman). As a revolutionary face in the field, Minaya additionally states on being a woman, “I don’t look at my gender and think it holds me back… Women and men should be treated equally but in most cultures that is not the case and this is not confined to the tech industry. It is in most industries” (Coleman). Beth Marcus, Carolina Cruz-Niera, Jannick Rolland, and Char Davies are just a few more names that are a part of the broad list of distinguished women who have affected the VR realm (Morie). As the female presence in virtual reality and STEM grows, we get more perspective and minds to strengthen the field. Be sure to use today (and honestly everyday) as an excuse to celebrate a woman in your life and all of her accomplishments!! Meet Clara: Full-Stack Engineer Intern @ Lucid VR! Welcoming on-board at the start of 2018 is our Full-Stack Engineer Intern, Clara Chen! Clara has a unique “ABC” cultured background: American, Burmese, and Chinese. As a Chinese, she was borned and raised in Burma and earned a Bachelor’s Degree at age 19. After exploring in the professional field in oral dentistry for four years, Clara came to the US to further advance her education. In May 2017, she obtained a Master’s Degree in Software Engineering from San Jose State University and headed on to pursue the love at the core of her heart—software engineering. In her own words, she strives to become an “ultra skilled and creative engineer who can create ground breaking technology” and this is not simply a verbal goal. Clara devotes herself in expanding and deepening her knowledge and skill sets, i.e. high proficiency in programming languages like Java and Swift and knowledge in version control, design pattern implementations, and AWS. Furthermore, Clara has accumulated experiences in mobile development (Android and iOS development) and specialized in backend development. While her past endeavors emphasized on mobile phone sensor technologies and API implementation and development, she is equipped for much more–and that is why Clara is here at Lucid VR. Why does Clara want to join Lucid VR? “I believe Lucid’s mission aligned with my interests perfectly, [which are] visual, photography, and VR technology.” Given, skills alone can bring greatness, but skills and passion combined becomes a powerful tool for excellence. And this is exactly how Clara envisions to break through her limits at Lucid, by dipping her passion and skills into the ocean of the real market. Since cameras (3D camera, VR camera), VR and AR technologies are growing in demand, Lucid VR is the perfect place for self-driven individuals like Clara to skyrocket personal and professional growth like never before. As 2018 kicks off, Lucid VR welcomes new Computer Vision Engineers on board. More than a Computer Vision company, Lucid VR does not just give you work to finish and report back. Rather, it gives you growth–and that’s for you to keep at the end of the day. Want to connect? Say hello to info@lucidcam.com! Founding a startup business takes courage, but executing and growing it is another ongoing list of adjectives. Every startup has its own enemies to battle–some conquer, some compromise, and others complain. Truth be told, not every startup make it through the dark times and continue to reach for the light at the end of the tunnel. Lucid VR not only survived another year, but also managed to finish off 2017 well, and we want to share our top 5 highlighted achievements with you as an invitation to be a part of our journey in the coming 2018. Oculus Co-founder, Jack McCauley, joined the Lucid team as Chief Engineer. LucidCams sold out at Best Buy during Black Friday sales! Incredible turnout rate at our 3rd Anniversary Holiday Party + Mixer @SF Google Launchpad! Entrepreneur Magazine named Lucid VR as one of the best privately-owned businesses in America. In retrospect of 2017, the Lucid Team has broken down stone walls and survived through countless ups and downs. We faced adversities like others, but overcame like no other. In all humility, Lucid VR is grateful and confident to say, “We believed wholeheartedly, focused collectively, progressed relentlessly, and achieved remarkably. It has been another splendid year, we did it.” Bring it on, 2018! Featured as one of the most dynamic young founders in America in Inc. Magazine’s 12th annual “30 Under 30”, Han Jin, founder and CEO of Lucid VR, has created a new wave in the virtual reality (VR) industry with LucidCam, the world’s first consumer 3D virtual reality camera. Born in China, raised in Germany, and settled in the US after earning his degree in Industrial Engineering and Operations Research at UC Berkeley, Jin has accumulated experiences and perspectives unmatched by entrepreneurs of his age and field. Founder of several start-ups, Jin continues to break historical peaks–of his personal records–because what goes inside of his mind echoes boldly through his actions. Be real, be fearless, be lucid. Meet Han Jin from 360 degrees: his life-shaping upbringing, the start-up, and the core beliefs he faithfully guards. Jin was born in China and, at age six, moved to Germany, where he spent the majority of his life until he came to the US to pursue higher education at UC Berkeley. Looking back, Jin appreciates all that life offered him–luck or hardship. But above all, he credits his achievements to his mother, who “moved to Germany all by herself without knowing the country or language…and raised [Jin] as a single mother while working three jobs,” said Jin. “She never gave up on what she wanted to achieve in her life. And with this mindset, she managed to take care of a child while founding her own practice and becoming successful in a foreign country.” Like mother, like child, Jin also never gave up and now is sharing his story with those who are still upclimbing the uneven road. Physically and mentally juggling between countries and cultures, Jin has found a desire to connect people not just on a flat screen, but in a setting as if their loved ones are right next to them. With this hope in mind for a long time, Jin eventually put his vision into action and gave birth to the portable and easily-accessible 180° LucidCam in 2017. Jin and his co-founder worked on remote controlled robots in their free time and he was “fascinated by how much depth and immersion [he] was feeling.” Wowed by the surreal experience, Jin and his co-founder worked and worked and worked, and finally built LucidCam, a VR camera that empowers everyone to create live, real, and immersive experiences. Best piece of advice in life and in work? One of the fastest ways to gain or lose a viewer’s interest when watching your VR film or video is through camera movement. Here are a couple of quick tips to smooth things out and keep going forward. In most VR videos, whether it’s 180 degrees or 360 degrees, the viewer enters the viewing space from the camera’s perspective. Meaning that they, the viewer, are the camera. So if you move the camera in unnecessary or unpredictable ways you can make the viewer uncomfortable and lose their attention. A good tip for avoiding this is grounding them. For instance, if the viewer is suddenly flying thousands of feet above the Earth, it is helpful for them psychologically to see a normalized reason for that vantage point. If they look up and see that there is a parachute over their head, they suddenly have a greater sense of understanding as to what they are doing in flying through the air and what a reasonable explanation would be to happen next. At some point they will likely land. VR is particularly unforgiving when it comes to shakiness. With some cameras or on some headsets, this can even make a viewer sick to their stomach. Trying to keep the camera stable whenever possible is an important element to keeping the viewer engaged. If there is shakiness, you should try to limit it when possible and have a good reason for it. Which brings us onto our next tip…. Though it might be implied in the other two tips, let’s just say it right here; the camera should have a reason to move if you are moving it. If the viewer feels like they are the camera, if you move them without warning or reason, it feels forced and unnatural and will likely not be very well received. However, if you move the camera steadily in a space that it (the viewer) would move through the scene naturally, then you are likely to have a more successful scene. For instance, putting the camera on a boat or a car (or in the last example, hooked to a parachute) then the viewer has a reason to move. You can also give the viewer a reason to move if they are following the action in the scene, like walking with a group of people if they are there. Even in this instance, implementing steadiness and normal feeling speed or movement are the baseline for a comfortable viewing experience. As with all “rules,” these too can be broken. But this should be done intentionally and with an understanding of how you want the viewer to feel while watching the scene. How the Differences in Building 360 2D Vs. 3D Cameras Will Shape VR Adoption? The definition of Virtual Reality has been evolving over the last couple years. While we are all clear about what a VR headset is and what it needs to do, people often are confused about what VR cameras should be able to do. Is it 360° or 3D or both? There is clearly a hype around 360° 2D consumer cameras right now, but the wave of 3D cameras is not far behind. However, to bring more clarity around why 3D is still behind, this article should explain some of the differences and especially challenges which make building 3D cameras much more difficult than a 360° 2D camera. First of all, the amount of camera modules and lenses needed to do 2D 360° is at a minimum two and can go up to four, but 3D needs way more than that. If you imagine that capturing 3D in one direction can only happen with at least two lenses – as we reproduce what a human eye can do in stereo – then you will understand that the most you can achieve in 3D with two wide angle lenses is 180° through and with six lenses is 360°. It is possible to create 360° 3D with four lenses, two facing one direction and two facing the opposite, but then you are sacrificing the sides which will be only in 2D. Many 3D cameras use eight or more lenses to create 360° 3D, because the more lenses you use the better resolution you can achieve with stitching. Second, 360° 2D cameras have a more straightforward manufacturing process than any 3D camera for Virtual Reality. In the assembly, two lenses are mounted on sensors back to back, and the key step is the mechanical calibration to precisely align them. However, 3D VR cameras have to go through the same step in manufacturing, but then add an additional software calibration process which guarantees a perfect 3D experience. Every single 3D camera has to go through that process in order to generate 3D data necessary for playback. Finally, image processing needs for 3D cameras are much higher than for 360° 2D cameras because of stabilization, high dynamic range and calibration. For 360° 2D, you need the stitching software to combine the two lenses, and that happens mostly in real-time. However, for 3D cameras, you need more than just stitching, since you always have two reference points which you need to consider instead of one like in 2D. That means when you stabilize 3D, you are not stabilizing one point, but multiple points in differently shaking images. It can create a huge challenge, as for a perfect 3D effect and depth, you would need to keep the reference points at the same distance. Another impact is on the high dynamic range between two lenses capturing with a slight offset. Even though you are recording the same direction, the light might be different due to the offset of the lenses. Besides those two you have to also deal with calibration which we briefly discussed above, but not just in manufacturing. 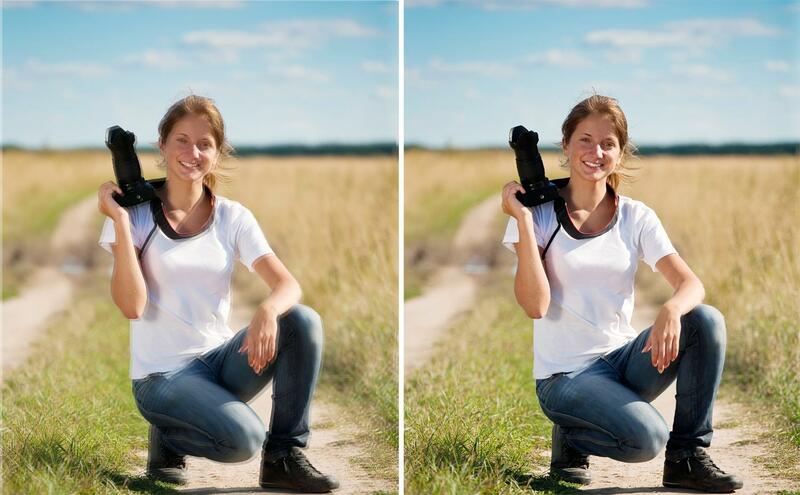 What happens when the camera falls on the floor and the lenses get misaligned? Those are just a few reasons why building 3D cameras is so difficult and needs time to get right. The smallest error can cause a huge impact on the viewer, leaving behind an experience which keeps people away from ever adopting Virtual Reality. Therefore, ramping up 3D cameras have taken an incredibly long time compared to all the 2D 360° cameras in the market. All we can hope is that the computer vision technology for 3D keeps getting better and better over the next couple years to finally take true VR content to the next level.